Everyone is struggling to get Google+ account and those who have already got one are busy exploring it. Just when i joined Google+, I literally spent whole day on it exploring and Googling more about it. The User interface of Google+ is clean and Impressive, though it closely resembles to Facebook’s UI. Interestingly Google+ let’s you edit your posts after publishing, this was really unexpected feature and one can use this feature in a wrong way. Overall Google+ seems to be promising next generation social Network. I remember my old days, when i joined facebook couple of years ago, i felt really difficult to use it but then with time i mastered it..i can say :). Now same thing is happening again with Google+. 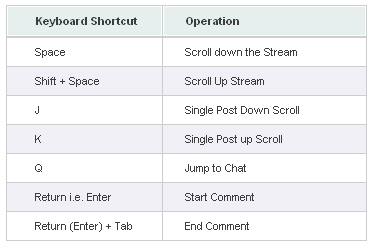 So if you don’t wanna waste your time Googling how to use Google+, here’s a Quick Google+ cheat sheet that explains all the stuff that you can do on Google+, as well as useful shortcuts that are supported by Google+. #1. Circles are like grouping people and Following them like on Twitter. In other words, it is similar to Facebook friend lists or Twitter Lists. You can create your own custom circle and add people by dragging them in from a list of contacts. #4. Just like Facebook you can add photos, videos, or links to your posts. You can drag photos and videos from your desktop or folder and drop them (in post) into the Stream editor. #5. To mention people in your Posts, Just add + or @ in front of their name. #6. If you set your Post to “Public” then people who are not in your circle may see this post. You can also make it visible to only selected circles or friends. If you Select “Extended circles” then everyone in your circles, plus all the people in their circles can see your post; this is similar to friends of friends in Facebook. #7. Like Twitter, you can also Re-share other peoples Posts. If you don’t want people to re-share your posts then Click the arrow at the Top-Right of the post and choose “Disable”. #8. In Google+ you cannot send Private messages to people. The only way to do so is by sharing your post with them privately. 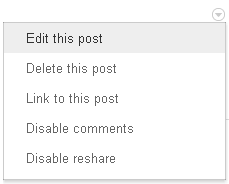 Make sure you disable Re-share option for that post, because the person with whom you are sharing can Re-share it. 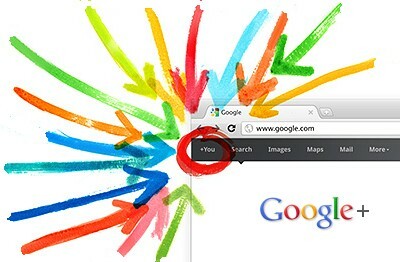 Again, Don’t forget to Add me on Google+ – Click here! OR if you haven’t got any invitation to Join, please scrap your ‘Gmail address’ in the comments and I’ll send you one (takes around 12hours or more).